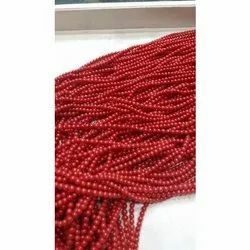 We are involved in providing Red Coral Round Beads stones , which is appreciated for its exotic beauty and lasting shine. To meet varied specifications of our clients, we offer these citrine stones in the various beautifully crafted designs and in different shapes and sizes. Coral beads Italian mines 3.5mm to 7mm size. 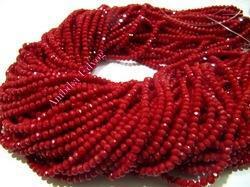 We are engaged in manufacturing high quality range of Coral Beads.